I agree with you 100%, Steve. We must use common sense. 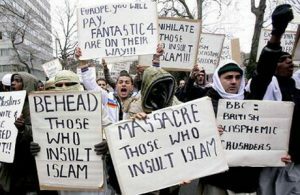 By trying to be politically correct, areas in Europe have been taken over and are now being dominated by the Muslims and their beliefs. They do Not assimilate. They want us to conform to them. And, unlike many other groups who try to enter this country, this group has a large faction that does truly want us to CONVERT or be KILLED. People need to wake up to that fact. Steve, I have travelled with you to Israel and I know that you agree with our Catholic (Christian) values. I trust your judgement. Jesus said many times, "Fear not!" or "Be not afraid!" The faith of 90++% of the Christians I know in America will never conform. Ever immigrant group, at first, needs to relate to their own. After they are secure, they gradually integrate in US society. Let us be not afraid, rather love inclusively as Jesus did. STEVE RAY HERE: Rich, your quotation about “fear not” is taken out of context and does not apply here. If a gang of men surround my wife and I with guns drawn, are you telling me I should not fear and should not try to extricate my self and call the police? Really? And what does “fear not” have to do with immigration? Should we “fear not” and allow people in our country with the Ebola Virus or other contagious diseases? How about you take them into your home – since you fear not. You need to be more precise and not be driven my mere emotion. We are to be rational as well as emotional. 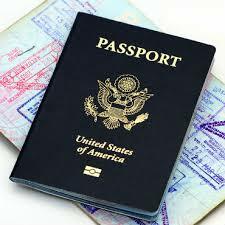 Any your assessment of all immigrants eventually assimilating – do you speak from experience? Like I said, go to Sweden, Germany, Holland, etc. and tell me Muslims assimilate. You sit in comfortable America with little experience of the real world. Love does not mean an emotional fuzzy feeling. It means making proper choices for good and in this case it is for the love of neighbor and family that we need to protect our country and our loved ones. There are a lot of things we can do to love the immigrant and it does not mean just opening the doors of the US to everyone irregardless. We are the most generous country in the world and many like me financially support and help orphans, immigrants and others around the world. We forget that so many situations like we have today stopped immigration or even worse, such as the imprisonment of Japanese citizens at WWII. We do what we need to do. Political correctness never brought back a loved one who was lost to terrorism. Holland, Steve Ray here: Thanks for your irenic tone and genuine concern. You asked me to comment so I will. I do NOT think our country should wash it’s hands in the immigration issue. We should be careful with immigration. 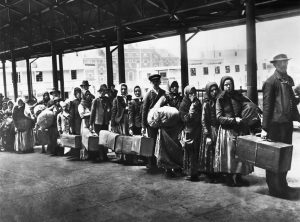 My ancestors were immigrants. In a democratic republic the people should “inform” the government about morals in all matters — abortion and immigration. Regarding Muslims, this is a very interesting and new phenomenon in the US. Muslims don’t assimilate. When they are few they seem to but when they are many and their mosques and schools are built and the gather in communities they begin to assert themselves. 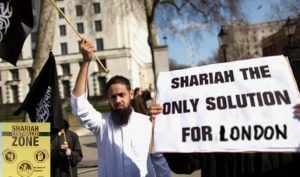 They don’t want to live like us but to have their own laws (called Sharia). I shouldn’t even have to tell you this if you pay attention to the news and read what is happening all over Europe. It has nothing to do with “weeping children” (as you don’t have facts you try to go for the emotion) but about a country doing what it should do. I don’t think you really read my article and if you did, you didn’t understand it. 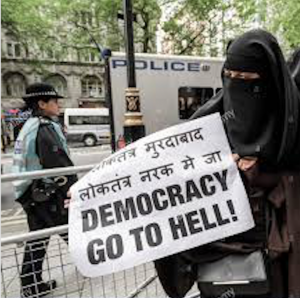 However, I have never said to keep all Muslims out but that those who come here who don’t want to respect us or our laws should be refused entry. That goes not just for Muslims but for anyone. Hello. First off I would like to say I enjoyed reading this post, it is a well written piece. The only issue I have seems to be double standard this piece, and pieces similar to it have regarding the preferred relationship between the church and the state. In this article, and please correct me if I'm wrong, you seem to wash your hands regarding the issues of immigrants, claiming that this is an issue that we must defer to the government on. However, that does not seem to be the case when dealing with other matters, the largest and most prominent being abortion. Now both issues deal with the sanctity and dignity of human life, be either the murder of innocence in the womb or the murder and/or death of innocence as they flee an environment I as an American thank God everyday that I have never encountered. Of course that is the ultimate twist of this piece isn't it? Muslim Refugees. The misdirection leads the reader to believe that being stopped by immigration is as normal at an airport as a delayed flight. But underneath this article is undoubtedly directed towards the banning of Muslims, refugees included, from the country. Now you know as well as I the numerous scriptural passages that rebuke abandoning our neighbors to their own unfortunate ends, regardless of a nonsensical interpretation. Objectively, Christ is very clear on how we are to treat immigrants, the needy, orphans, and widows. My convictions, placed upon me by the Holy Spirit, knows that both you and I understand this to mean Muslims as well. Their children die just like ours, their parents weep the same as we do. Do not fall victim of a fear based Christianity that refuses to sacrifice a portion of our prosperity to show love to others. But that raises the next question, which I know is the ultimate basis for our concerns and prejudices which ultimately cause us to fall short on upholding our convictions as Christians, what if they kill us? To that I say the love of Christ is worth the potential temporal consequence. Almost every man, woman, and child we help wants nothing more than we do, to live in peace. And if in loving these people the way that Christ loves them leads to an predestined unavoidable outcome such as our demise, who are we to believe that we deserve better than the founder of our faith. We live here in Minnesota with the largest Somalian Muslim population in the USA. Most of them where brought here by Churches and by the Catholic Church. It was the charitable thing to do at the time. However we have experienced that their culture does not mix or blend with ours and never will. Unlike the Jewish people that remained separate in their personal community they respected the rights of their host countries. 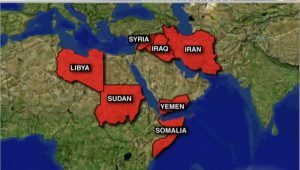 Our Somalian residents have already generated a large number of Terrorist recruits, that so far have traveled back to the middle east to fight. We have had an unexplained explosion in one of the Somalian communities' buildings, that killed some of the male residence. Were they practicing bomb building or preparing for an attach in the USA? The explosion was violent, leveling the building, was not caused by Natural Gas and has yet to be explained. We are seeing many more protests, rally's and demands for special rights. The Somalians live in their own area and have their own schools, stores and now a radio station. It will not be long before they demand to have their own laws and courts. We have elected the first Muslim to congress, Keith Ellison from Minnesota and the first Somalia woman to the Minnesota State legislature. We must remember the formerly progressive, liberal, modern country of Lebanon that welcomed in the Palestinian Muslim refugees from Jordan in 1948. The Lebanese people gave the Palestinian Refugees jobs, homes and education. The ignorant Lebanese marched and rallied with and for the Palestinians, demanding a homeland and freedom from persecution. In less than a generation in 1975, when the refugee's children who were born in Lebanon reached 27 years, a prime fighting age for men, they waged Civil war on their hosts. The Muslims killed their Christian hosts like cancer kills the body. Today Lebanon is a third world country that no Western Christian in their right mind would select as a vacation spot. Is that the future that we welcome to American in the next 20 to 40 years. I believe it is our future since Islam is not compatible with our Western and Christian culture and never will be. Lord's yoke, should interpret and put into practice this advice? I find it difficult to apply in all situations. We live in a continual trend toward secularization and market driven, atheistic resolutions in our own market places and public spheres and religious schools and businesses here in US. 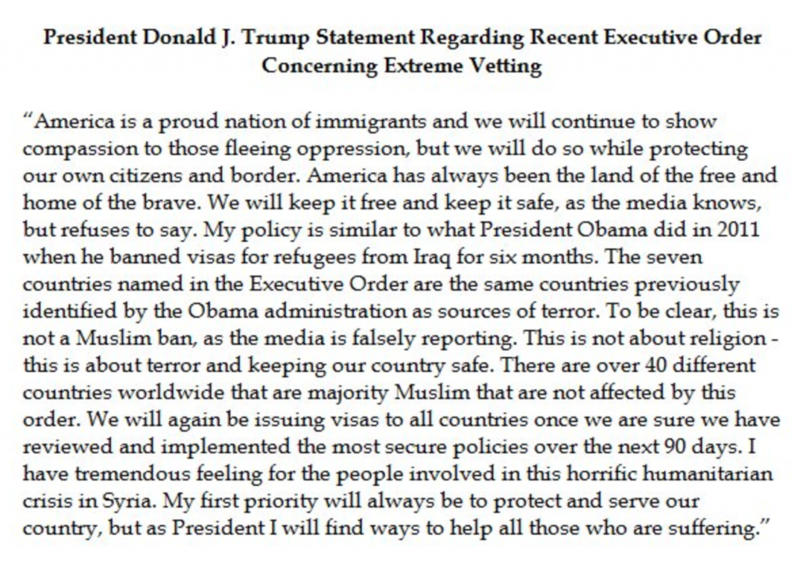 Our president said that for him this decision was not about religion, but for us, shouldn't it be? Isn't that what Pope Francis and many of our American bishop's are trying to tell us.? Jesus Our Lord seems to have promised us persecution and crosses, no matter how good and Godly we act in His name. He did, by example, submit to governing authorities that condemned and crucified Him. Paul himself, as a Roman citizen, submitted to the jurisdiction of the current emperor of Rome. How do we seem to consider the Authority of US, secular and atheistic and pluralistic as it is evolving to be, of God, but are selective in recognizing the validity of other governmental authority structures? STEVE RAY HERE: Thanks for your thoughtful comments and questions. Remember that St. Paul wrote this while living under the Caesar in the Roman Empire. St. Paul was a Roman citizen and obeyed the “legitimate” laws and prayed for the Emperor. He also did not hesitate to use his status as a Roman citizen in more than one instance. Peter and John stood up to the authorities in Acts 4 and 5 and refused to obey them when civil laws violate the law of God. I am sad to see what the Pope and bishops are saying about immigration. I posted the link to the article about this from Crisis Magazine article. Go back to my article at the bottom and read it. I think it will help answer about the Pope and bishops. Bearing our own crosses in humble obedience to God is one thing; asking for trouble, inviting problem people into our country and asking for crosses is quite another. God bless you. STEVE RAY HERE: Pope Francis DOES agree that a nation has a right and obligation to define and defend its borders. He stated that just last week. Holland wrote: "as Christians, what if they kill us? To that I say the love of Christ is worth the potential temporal consequence. " To me this seems like suicide rather than Christ like. Christ proved he was above death and conquered it. Are we to pretend that we as Christians are to play sacrificial sheep in this instance? I believe the turning of the tables story clearly illustrates that we can stand on solid ground in defending the dignity of life and Christian/Judaeo values we fought so hard to keep. Fighting might be difficult for some but it is the right thing to do when you put it in historical context as Steve Ray has in this article. I was hoping someone else would have provided a response to that quote but I am in here months later and don't see any so I thought I would offer my two cents. STEVE RAY HERE: Thanks Matt. Agreed!